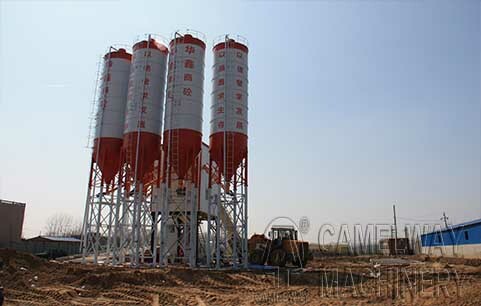 Zhengzhou CamelWay Machinery sale a set of complete concrete mixing equipment for Changda Highway Engineering Co., Ltd. Guangdong Changda Highway Engineering Co., Ltd. is qualified for national highway engineering general contract and Class-A qualification of highway design, a large enterprise with the power of conducting foreign trade. It takes on construction works of important highways, bridges, and tunnels in China. Based on the strict control on construction processes, engineering materials, and product quality, Guangdong Changda has participated in more than 270 super-long span and long span bridge projects, and has been awarded by more than 90 national and provincial Science & Technology Progress Awards, 34 patents of invention, 2 Ruban Awards, and 7 CCES Zhan Tianyou Awards. It is the only Chinese company who won Spanish 9th International Architectural Award in 1997.